TROY, NY – City officials today announced the 2019 spring street cleaning schedule for the Collar City. 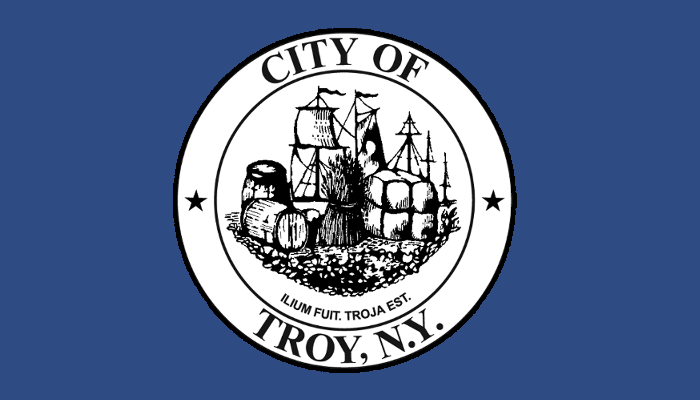 Troy’s Department of Public Works (DPW) has scheduled six weeks of street sweeping and debris cleanup to clear dirt, brush, leaves and other materials that accumulated during the winter season. The annual initiative will begin Monday, April 15th, and continue through May 24th. Know when your street will be cleaned. The full schedule has been published and is available on the website at www.troyny.gov, the City’s social media pages, and available at City Hall. Please move your vehicles in accordance with regularly posted alternate-side parking restrictions so that DPW staff can clean the entire street surface area. Sweep or wash your sidewalks and rake your lawns before sweepers come onto your streets. Additionally, please sweep the dirt along the curbs and out of the gutters into small piles to help make pick up easier. During posted cleanup days, any illegally-parked vehicles will be towed at the owner’s expense. All streets that will be part of that day’s cleanup will be posted for “No Parking.” Please notify DPW at (518) 270-4579 in advance if you know of any abandoned, unregistered or inoperative vehicles in your neighborhood. Residents are asked to please place weeds, brush and other materials in a biodegradable bag or bundle the brush and branches together for easier collection. For more information on the spring street cleaning program, contact the Department of Public Works dispatcher at (518) 270-4579.